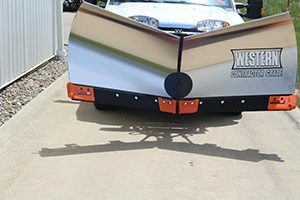 Winter Equipment launched its V-Plow Guard system. The system is a complete system featuring steel blades, center and outer PlowGuards, hardware and installation instructions. The PlowGuards and blade work in tandem to protect and reduce uneven and premature wear, and all steel is reinforced with Winter’s carbide matrix hard-facing weld, increasing blade efficiency, while also reducing damage from rough roads and unseen obstructions, according to the company. The V-Plow Guard system is currently compatible with Western, Fisher and SnowEx plow models. Plans for additional models are currently under way, Winter Equipment said.